It has always been a priority for UPA to both pray and help facilitate prayer, particularly in terms of praying for some of the poorest people in Leeds. In 2005 Dave Paterson started holding prayer gatherings for Christians who were serving those on the margins. 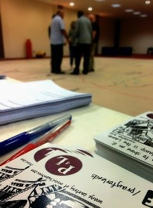 These turned into prayer lunches and prayer presentation evenings where project leaders would come along, briefly present what they were doing and then be prayed for. In 2012 Church leaders and Christian individuals took part in the Olympic prayer torch initiative and then in September 2012 a number of Christians from Leeds went down to Wembley Stadium to join 32,000 people at the National Day of Prayer and Worship. In 2013 the prayer lunch that had brought Christians working on the margins together joined in with a prayer gathering for pastors, which is now known as the City Wide Prayer Lunch. This continues to happen 5 times a year. 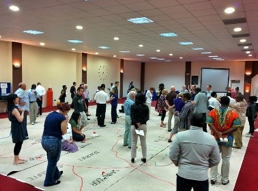 At a Citywide Christian networking Event called Connect in 2013 a group of people engaged in conversation about formalising some kind of prayer initiative across the City and set up 24 hour prayer times for Christians to pray together. These now run twice a year. The name that was given, following the meeting at the Connect event, was Pray for Leeds (P4L). 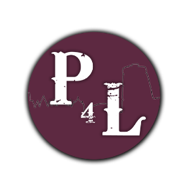 The City Wide Prayer Lunches and the times of 24 Hours of Prayer come under the P4L banner and the initiative aims to raise awareness of other Leeds prayer initiatives such as the Global Day of Prayer and First Love.